Want to Star in Your Own Music Video? Music lovers rejoice, it’s finally festival season! And if you plan to soak up the sunshine with your favorite acts at open air festivals around Switzerland, don’t miss your opportunity to star in your very own, personalized music video! You heard that right: you can have your moment in the spotlight at OpenAir St. Gallen (June 28-July 1), Heitere Open Air (August 10-12), and Open Air Gampel (August 16-19) with the OVO Challenge, featuring iRewind’s live-rendering and video overlay technologies. Participants of the OVO Challenge will be filmed showing off their dance moves to Lo & Leduc’s official music video, Maradona. 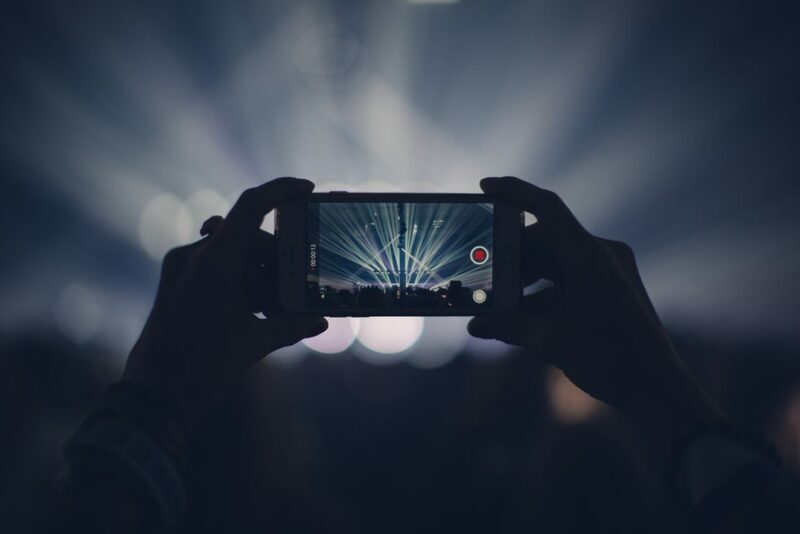 The two videos will be rendered as one, providing you with your own unique video that will be instantly delivered to your phone via SMS. You then have the option to download your personalized music video or share it directly to your messaging and social media channels. All too often, people leave a festival with only a sunburn and a million selfies, but we’re here to change that. We’re happy to send you home with a personalized digital souvenir of your shining moment in the spotlight with OVO and Lo & Leduc, so don’t let this opportunity pass you by! Summer’s one of the best seasons for capturing great moments on film. If you’d like your own personalized video, sign up for our newsletter to learn about the great events where you’ll find us and our cameras. https://irewind.com/wp-content/uploads/2018/06/veeterzy-98988-unsplash.jpg 3783 5675 News /wp-content/uploads/2017/03/logoneu_1.png News2018-06-25 07:08:172018-09-18 15:25:41Want to Star in Your Own Music Video? Festival Attendees Can Star in Their Own Personalized Music Videos Announcing Our Shiny, New Zurich Office!